I’ve been trying to recreate a great Channa Daal recipe of my favourite Indian Restaurant for some time – this is the closest I’ve come. It’s sweet, mild and creamy in consistency and works as a great accompaniment. 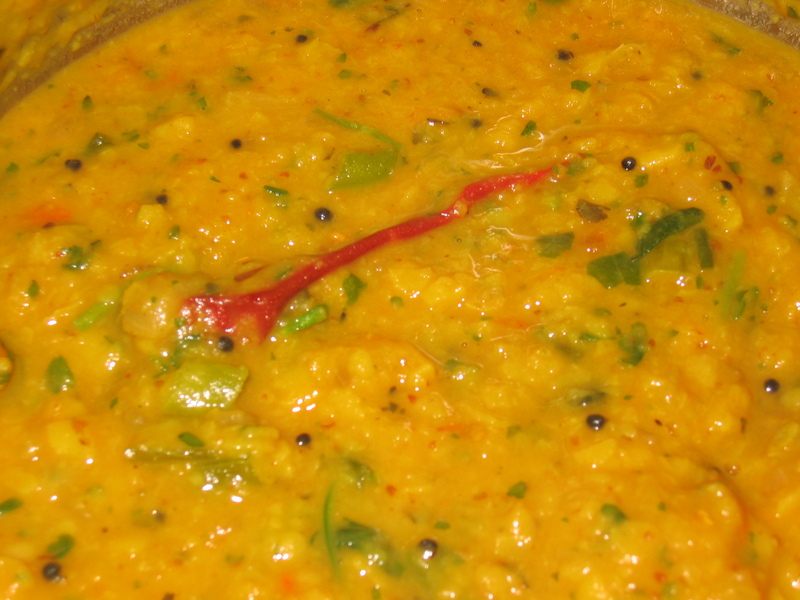 This recipe follows a fairly classic tarka daal type of approach. I’ve used oily Toor Daal, but you could use other lentils. This would also be a great main course vegetarian curry dish. Cover the lentils with the hot water, add the turmeric, ginger and dried whole chilli and bring to the boil. Simmer gently for 20 minutes, or until lentils are cooked. In a separate pan, heat the oil and add the mustard seeds until they pop. Add onions and fry off for 5 minutes until soft.